What better time to make your bedroom special than the month of February! We all deserve a good nights sleep. Getting it can be a challenge for many. Not only do we live in a 24 hour society, we also have gadgets we never turn off. But first. In my Closed Facebook Group Marilyn’s Way you practice a simple home keeping system I created that keeps you from getting sidetracked. Many household chores do not take that long if they are done right away and you stay on task. The problem is when you get sidetracked. Each quadrant has a priority and reason. Breaking it up into four quadrants is what makes Marilyn’s Way System doable. The fourth quadrant deals with monthly events. Each month has a purpose. They are aligned for happenings during the year with Clothes, Kitchen and Paper Clutter being held twice a year. The monthly events are the best way to begin your decluttering journey and once you have most of the clutter out of your home it works as a maintenance indicator. Throughout the month of February you will take on the monthly tasks in the order that is written. But first it is strongly suggested you schedule time for each of the nine habits. They are the foundation that directs you out of chaos allowing you to have time for the other three quadrants. It may look like it is a lot at first but once you work the system you will find a few areas of redundancy. Before I give you the actual tasks I want to write a little bit about the importance of scheduling your sleep time and I will tell you how it was for me before I began this journey. Back in 2007 I was diagnosed with sleep apnea. In fact my sleep apnea is so severe that I need a bipap machine where more pressure of air is forced in when I breath in and less pressure when I breathe out. I have a love/hate relationship with it. That said I use it each and every night. In fact I am also diagnosed with chronic fatigue syndrome. It is going to take years of diligent scheduling for myself to feel normal again. Our bodies take time to change. For me it is genetics and lots of bad habits. I didn’t value the importance of sleep. I didn’t value the importance of a nice clutter free bedroom with special touches. My bedrooms always consisted of a pile of dirty clothes I was going to get around to sorting some day. Living in a one bedroom apartment I always made a corner of it my home office. Yes I was sleeping among the overdue bills that kept screaming ‘Pay Now!’ I also had at least 3 self-help books for various issues one being fibromyalgia. This led me to becoming a pajama junkie for over five years. Dirty clothes, paperwork and self-help books are what lived in my bedroom. Many nights I would have piles of paperwork and books scattered on my bed with just a spot for myself to sleep. Does any of this sound like you? Yes somehow the bedrooms of today have become more than sleeping and intimate relations. It’s Time To Take Your Bedroom Back! In February of 2011 I was making preparations for a personal challenge that would take place in March. It was creating the habit ‘Get Dressed To Shoes’. If I was going to become successful, I needed to take my bedroom back. For the last two weeks of February I spent all my time in my bedroom. The first thing to go was a small chair. It served nothing more than piling clothes, paperwork and books on it. It had to go. I found a better place for it in my living room. It Is Time To Declutter! Now that the chair no longer resides in my bedroom, I am forced to go through the stuff that had been living on it. What a mess to say the least! I found tops that had stains that I was going to try to get out some day. paperwork I was going to organize as I lay in bed watching TV, and the self help books that were going to get me out of this mess. Who was I kidding? Myself of course! 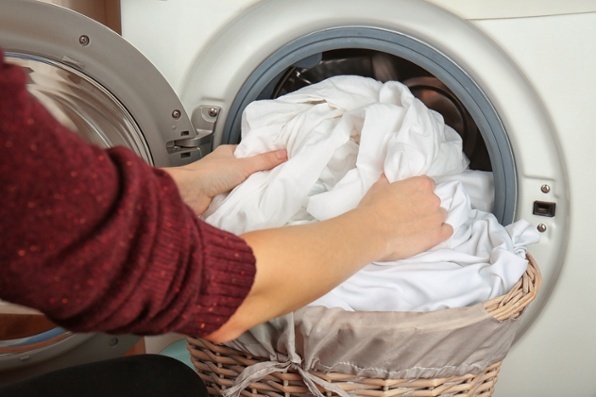 Yes, there comes a time when you have to realize you are never going to get around to getting those stains out of t-shirts you wear that have already seen its day. The paperwork? Most of it needs to go in the trash. Haven’t paid the bill yet? Don’t worry, you will get another in the mail soon. Self help books? Get them out of your bedroom and on to a bookshelf in another room and take a vacation from them. It is a simple and fun way to ‘Throw Away, ‘Put Away’, ‘Give Away’. Any containers will work. Boxes are usually easily available. We must first clear the area of unwanted things that have been taking up residency. It is time to evict unwanted things. Put some music on and ‘Cha Cha Cha’! Having A Hard Time Starting? Many experts suggest setting a timer for 15 minutes. When time is up, take a 15 minute break and then begin again. For me it did not work. All it did for me is create more anxiety on top of my exhaustion from poor sleeping habits and too much stuff in my bedroom. Instead I chose to do a ’25 Fling Boogie’. I just look for 25 Things to ‘Throw Away’ followed by ‘Give Away’. This allows you the space you have been looking for! Take 25 Things and ‘Put Away’. Are You Ready To Make Your Bedroom Special? The following is a simple list to follow in the order it is laid out. Following in this order keeps you from having to re clean things. We start at the top and work towards the bottom in a clockwise movement. Wash bedding including mattress pad. If you want your mattress and box springs to live to its full potential it is best to flip your mattress quarterly. It is best to get someone to help you. You do not want to hurt your back. You still have some cleaning to do. The following is a diagram on how to do it. 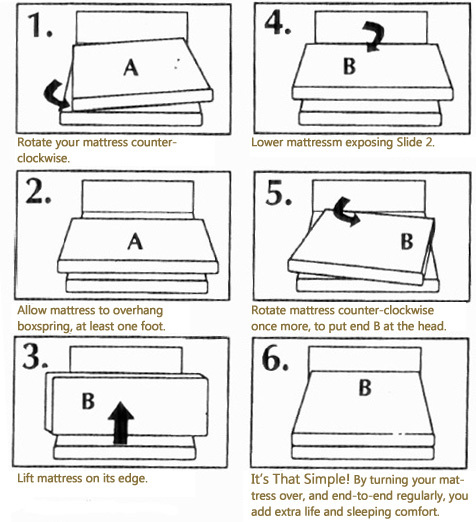 The correct way to flip a mattress. If you don’t want cobwebs to fall in your hair, put a bandanna on or a cap. If you haven’t spent any time cleaning in here, it will be dirty and stir things up. You want to do it the easiest way possible. You can use a dust mop like in the photo or you can take one of those stained t shirts and wrap around a broom to get the cobwebs down. Work your way from the top to bottom, left to right and clockwise. 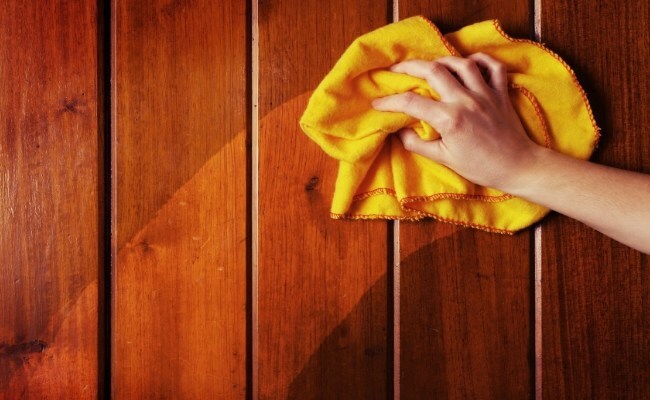 Any dust, dirt and cobwebs can fall to the floor. There are many products on the market to use for dusting. The best advice I can give you is to choose a product that you like the smell of. You can use microfiber cloths, one of those stained t- shirts cut up into rags or cloth diapers will do the trick. 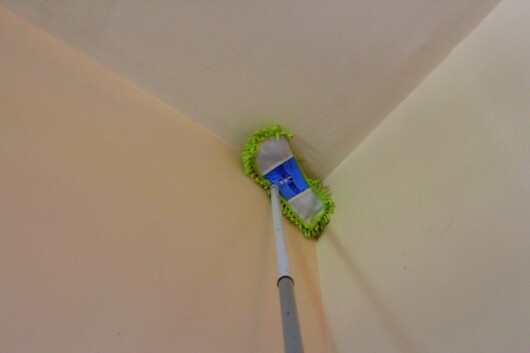 Dust and polish walls and furniture.You can dust the walls with a mop like shown to remove cobwebs using the ‘Top To Bottom, Left To Right and Clockwise’ technique. Next you will do the furniture in the same way. Most bedroom furniture comes with a mirror. You want to get it to sparkle so you can happily say hello to yourself in the morning. Nothing is better than waking up to sunshine shining through sparkly clean windows. The sun gives you vitamin D. Let’s get all of the Vitamin D by keeping the windows clean. Of course you will want to start at the top of the window and clean on the way down. Again what product you use is your choice. If it smells good and works, then it is a keeper. You will more than likely use it again. If you can do this, it is best to have nothing under the bed. It makes it easy to clean under there. If not, just make do with the possibility of removing it in the future as you get further along in your decluttering journey. Depending on the type of flooring you have in your bedroom you will do the following options. Let’s Vacuum And Clean The Carpet! Nothing says special than a nice clean fluffy carpet as you walk in your bare feet when you wake up the next morning. Look at your lovely bedroom! If there is something special you want to put in your bedroom that makes you happy, do it! It is your bedroom and you just made it special! You can now let go of the day, put you head to your pillow and wake up refreshed and ready to take on the new day! I treat the bedroom closet as a separate area. But first I want you to experience what it feels like to have a clutter free bedroom that you look forward to going to bed in and waking up the next day making your bed and getting dressed for the day. I would love to hear how you do should you decide to take on this challenge. For myself personally it has been one of the best things I have done for myself. Last February I painted the ceiling and the walls to freshen it up. This year I am on the hunt for a comforter set I love and will buy. Since I did the major decluttering back in February of 2011, I have been able to ‘keep my bedroom clutter free’. That makes me happy! Click the photo to join my Closed Facebook group. This marks the 8th year. You will love the support! Great post. A few months ago I was able to bring my home office out of my bedroom and I’m set up in the dining room. I live alone, so I don’t have to worry about cleaning the table off each day for meals. I know they say that’s not really a good idea but I enjoy eating my meals from my recliner. It rests my back before I start back to work. You’ve shared a lot of great ideas here and on your home blog. February is really a month of doing something special as it is a month welcoming spring after hard winter season. Everything around us looks happy and we should also spend sometime to enjoy and try to feel nature. Awesome writing style Marilyn K Foster. enjoyed a lot reading this blog post . keep up good work. Thank you for the compliment! I am working on a blog post about clothing clutter to publish this month! I agree that there is an important correlation between fabric thickness and room lighting preference. Growing up, our homes were usually pretty dark. This is due to the fact that we often used blankets for drapes. As a result, the house was darker than my mom preferred it to be. Looking back, this would have been an easy fix as even though we couldn’t afford drapes, we still could have used sheets instead of blankets. Yes, I totally agree with you. Especially the times of year when the days are short and not lots of sunshine. Making a curtain out of a sheet would work nicely. Yes, I wanted to be thorough as there are many bedrooms today that serve as dumping grounds and I want to change peoples minds that this should be a sacred space. This is where you rest from all the frustrations and excitement of the day. It can really determine who well you sleep. Many of the tips when it comes to cleaning can be applied in other rooms. Thank you for commenting! Thank you! It means a lot given this is my first ‘Expert Author’ post! Marilyn, you hae written really good post. February is really a month of doing something special as it is a month welcoming spring after hard winter season. Everything around us lokks happy and we should also spend sometime to enjoy and try to feel nature. Thank you. Bedrooms are your sanctuary and need to be a restful place to sleep recharging your body for the coming day. Too many end up using their bedrooms for extra storage and putting things in there that do not belong. That then encourages dust making it difficult to manage illness and allergies. Every few years my mom and I would redecorate my bedroom with a new theme and color. It was a special time for us to bond. There was a time when I lived in an apartment I put my office in the bedroom. I will never do that again. I was never able to get away from things. It is always great to freshen up your bedroom as we head into spring. Next month I will be writing a post about clothes clutter with the problems and giving you solutions before the summer season is in full swing. This post came a little late for me as I have just finished my bedroom declutter, fo the simple reason that I’m moving house later in the year and I had to get to the bottom of the mess before I dare let an estate agent in with potential purchasers. The declutter has been repeated over all the other rooms now – although I have to admit my son and daughter-in-law came over to help and spur me along. YES – it all looks far better now, although I do spend ages trying to find something that I would have found instantly before the tidy-up. Of course the next stage is decluttering all the cupboards where I hid everything that needed to be out of the way. So I’ll look forward to your next article. Every February is a great time to make your bedroom special. This is the 4th year and it is wonderful for maintenance as well. Of course much of this can be applied to other rooms and am happy you are using them! When I finally took my bedroom back in 2011 it helped me move forward in so many other areas of my life. I spent a good two weeks in there. I was gearing up for taking a personal challenge of Get Dressed To Shoes beginning March 1st. I am so glad I made my bedroom special before! I am happy you are part of the group Marilyn’s Way! Thank you for commenting!